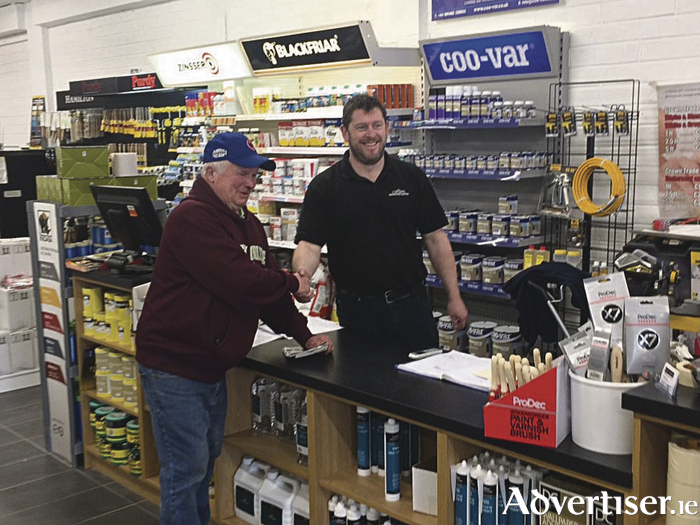 Crown Decorating Centre has been synonymous with supplying quality paints to the people of Galway and its surrounds for more than 35 years. Offering some 30,000 colours in a large range of finishes plus specialist coatings from Crown, Sandtex, Sadolin, and Macpherson, it has everything you require whatever the job, from domestic makeover to manufacturing or industrial maintenance. It also sells a large range of decorating accessories to complete your project requirements. Now relocated to Tower House on the Tuam Road, the centre has colour consultants and specialists available in store to guide you through all aspects of your project from advice on colour schemes to the best solutions and the correct finish. Brendan McIntyre is manager of the centre with more than 20 years’ experience and is well known to the trade. He is ably assisted by David Casey, assistant manager, and colour specialist Alan Flaherty. At the Crown Decorating Centre, Galway, you can be sure you are getting professional service and advice with quality products and solutions tailored to your needs. So why not drop in and chat to the team about any aspect of your upcoming decorating projects.